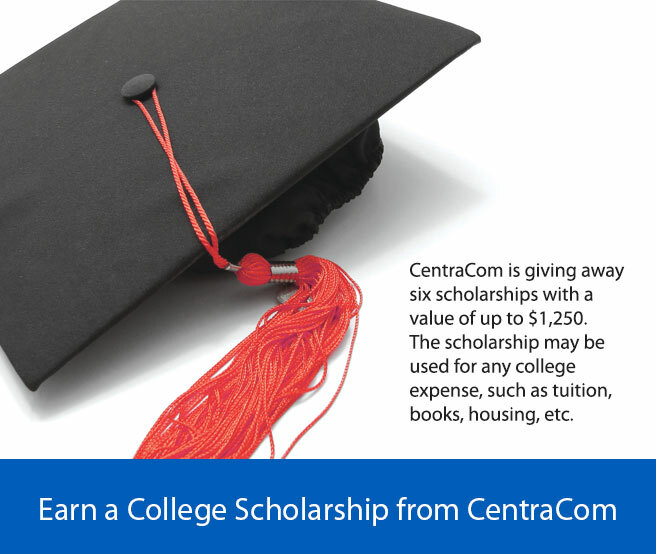 If you would like to apply for a scholarship, please visit www.centracom.com/scholarship for more information and to download the application. Or contact Erin Williams at (435) 427-0688 or (800) 427-8449 to obtain an application. But hurry! The application deadline is April 8, 2016.